The spotlight is about to shine on the Butts County Courthouse. While passersby might think the county is clearing out in preparation for upcoming renovations to the 1898 building, the courthouse is actually being prepped for a spot in a film production, according to county officials. “In case anyone has been wondering, we are not renovating (yet), nor are we cleaning out the building or having a yard sale. 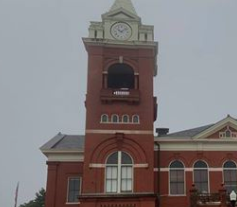 The Historic Butts County Courthouse is being prepped for a movie scene that calls for some junk and dilapidation,” county officials said in a Facebook post. “We are happy to work with the Georgia Film Industry on ventures that bring movies and television projects to Jackson and Butts County,” county officials said.